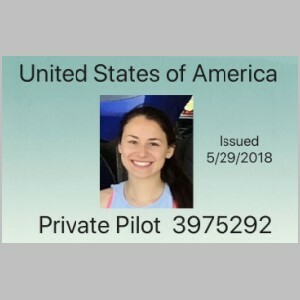 A New RV Private Pilot is Born! This week was a big week for us my family. 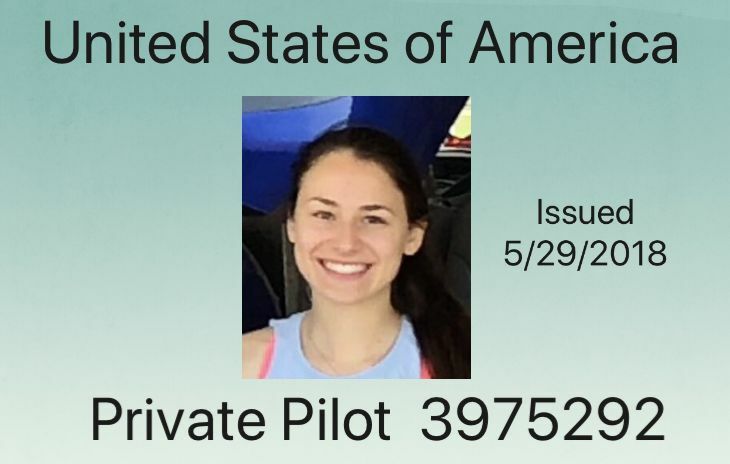 Danielle hit her 17th birthday, which means she was finally eligible to take her Private Pilot practical test! 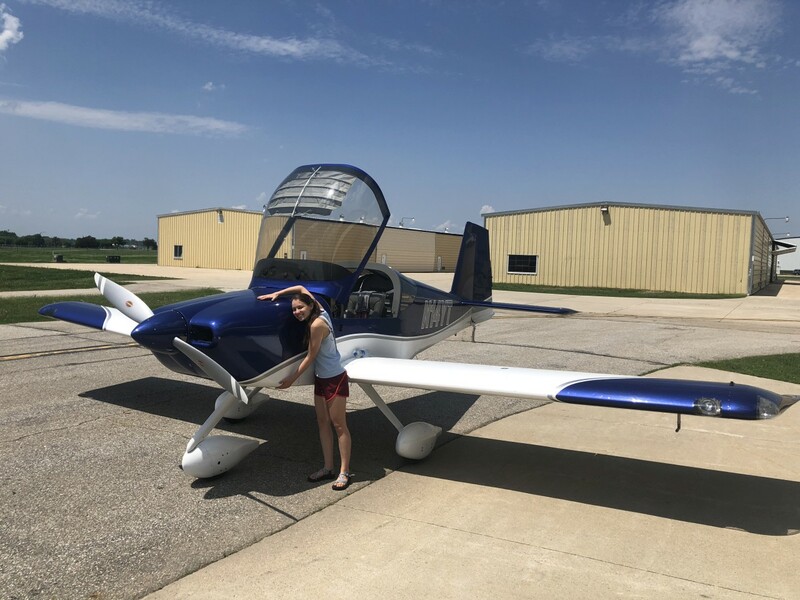 As any of you who followed my websites will know, Danielle was my number 1 helper in building the RV-14...a plane we decided to build for the kids to learn to fly in, and for me to scratch my aerobatic itches. 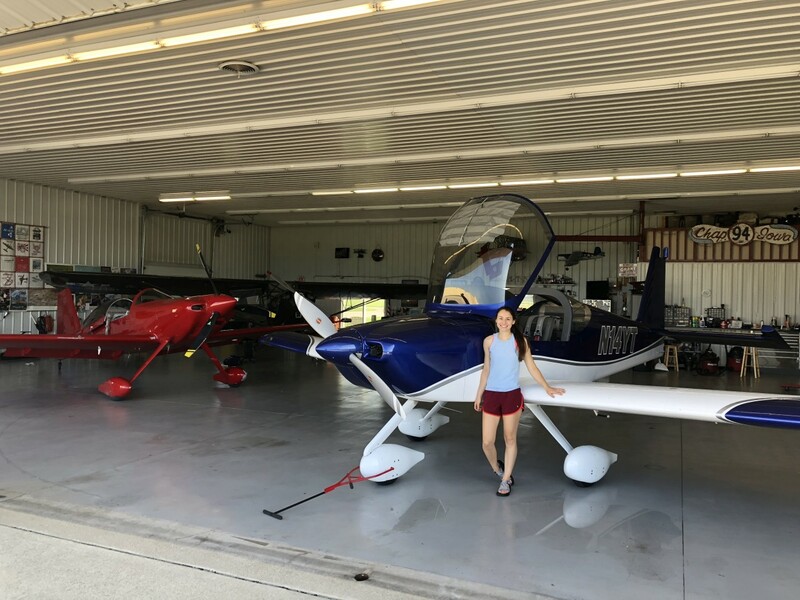 She had been flying the RV-10 since 2015 with me, and then started flying the RV-14 since we finished it in 2016. In 2017 she was finally able to start logging her time with me, as I got my CFI ticket. So it's been a heck of a ride. Her first 3.8 hours were in a C150. Somewhere along the way she put .8 hours in a PA-28R-201 Arrow just for the heck of it, because I wanted her to see what a real pig of an airplane felt like compared to RV's. Other than that it was tons of RV-14 time and a fair amount of RV-10 time. She took her practical with around 117 logged hours, but that doesn't account for maybe 35 hours that she had that weren't logged, due to me not having a CFI ticket soon enough. 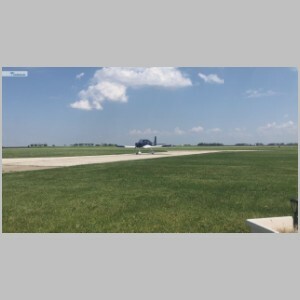 She was actually basically able to land the RV's just fine before she even started flying her first official lesson on 6/25/15 with another instructor. From 7/30/2015 thru 1/14/2017, nothing was logged, because any flying she did was with me, and I wasn't a CFI. But on that cold January day, we logged our first time together in the cockpit as CFI and Student. 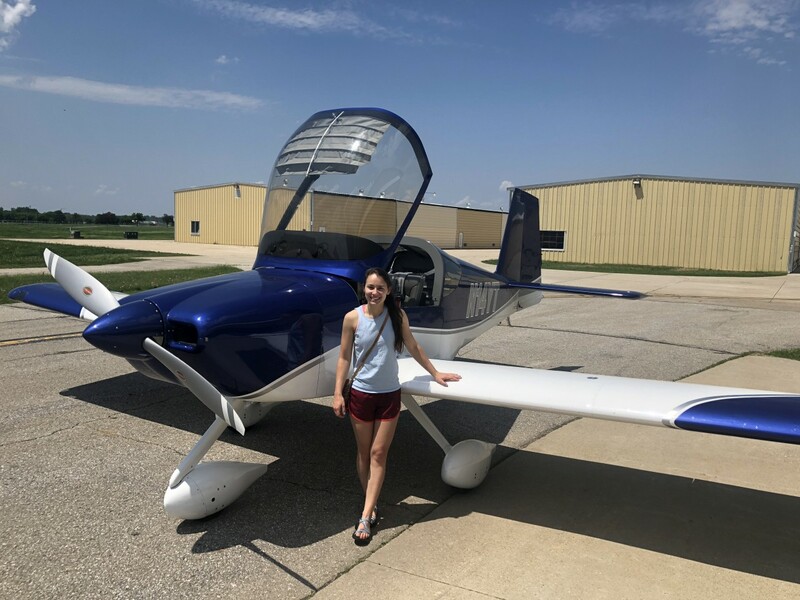 In 2017 on her 16th birthday, she soloed the RV-14, which was a great milestone, but it was also a long long wait until she turned 17 to be eligible to get her Private Pilot Certificate...something she was probably ready for much sooner. She had roughly 30 logged hours. 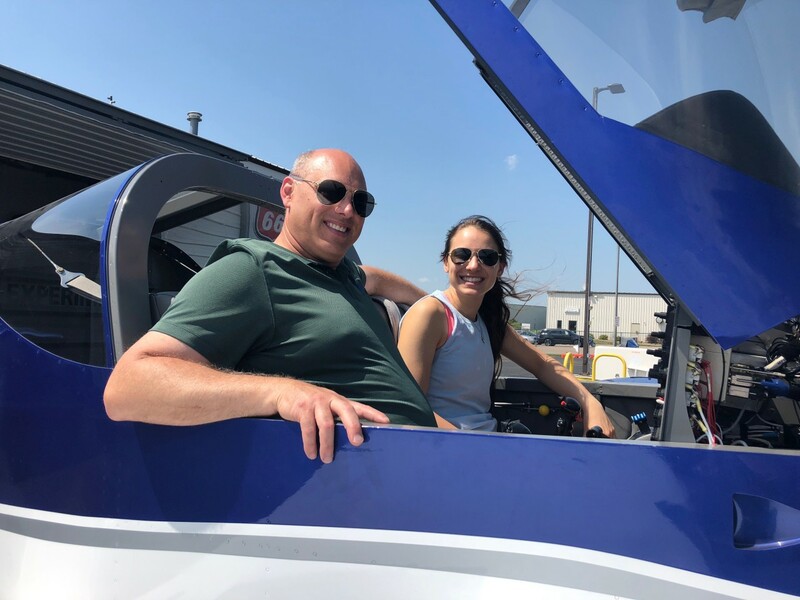 So for much of the past 12 months, we were flying to improve skills, boost her aviation knowledge, learn airplane systems, and take trips...where TONS of practical knowledge comes from. We honed her crosswind technique, one day even flying 90 degree crosswinds that were 19G28 with her putting it down perfectly. If I was going to turn my girl loose with an airplane, I wanted to know that without a doubt she had all the skill she needed to be safe. She flies well in formation, and really integrated herself as not just a pilot, but a good *RV* pilot. She knows how to make radio calls as a formation lead, and is someone I trust in the air. I think I will choose to look back and the 17 year age restriction as a blessing, not a curse for her, and certainly not for me, because it forced us to spend our time *together* in the air. As a dad who is extremely pained by the thought of having an empty nest in a little over a year, this was truly one of the best experiences of my life. Bob Turner, you have no idea how thankful I am that you piped up and pushed me to get my CFI. I owe you big time. 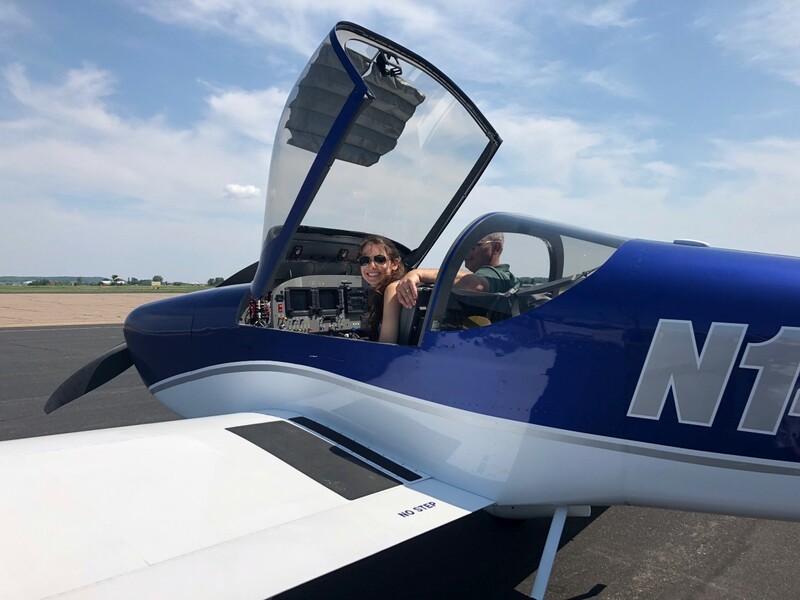 Anyway, as we spoke about insurance, and CFI ratings on the RV-10 Matronics list back in about September 2016, it also got me worried about finding not only an instructor who'd be willing to fly with her in an RV-14, but also a DPE who would do a practical test in an experimental. 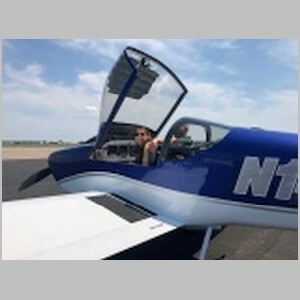 When I talked to the MSP FSDO about doing my CFI checkrides, I found that there are FSDO people who will refuse to ride in experimental airplanes. My inkling was that there are probably quite a few DPEs who would feel the same. So it was a worry for me as to who I would get for her checkride. 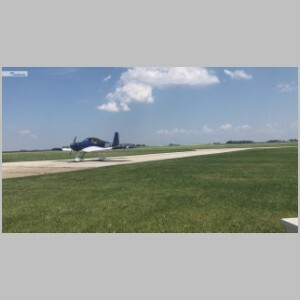 Back in 2017, just before OSH, I had another local CFI, Gordy Smith, take his Multi-engine CFI Practical with Doug Rozendaal in Mason City, IA. Gordy was the other person who was instrumental in pushing me to pursue the CFI myself. 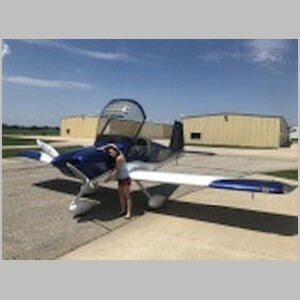 He took the time to come to me after he did my Flight Review, and tell me that with the airplane and flying knowledge I gained in the past 20 years, it would be a shame not to share it with others as a CFI. That push, along with Bob Turners nudge, was what it took to light my fire. Gordy also mentioned that Doug, who I didn't even know was a DPE, also flies a Harmon Rocket. That planted the seed, and I knew who I wanted to go to for Danielle's practical. Doug is a legend of a pilot in some circles. If you don't know who he is, google will give you lots of info, and it will amaze you. 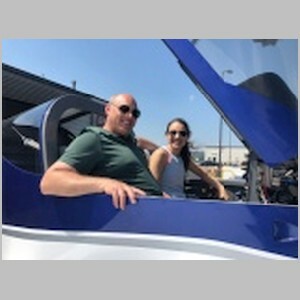 He flies all sorts of Warbirds, in formation, and for airshows, including at Airventure, among many other places around the country. When OSH 2017 arrived, I set out to meet him and see if he'd be willing to do a practical test in a bit less than a year from then. He said to call him a few weeks ahead and he'd check his schedule. Well, this week it all worked out. Danielle and I, despite lots of preparation, were nervous as heck...to the point of even becoming physically sick with colds from lack of sleep and stress. I *knew* she could fly the plane well, but a practical test is intimidating no matter how good you fly. Add to that the level of knowledge you need to pass the Oral, considering you don't know exactly what you'll be asked, and it gets you worked up. I think it's also harder now than it was back 20 years ago for me, as there are now questions potentially about TSA regulations, and the FAA has many initiatives called special emphasis areas, such as Controlled Flight into Terrain (CFIT) prevention, Runway Incursion Avoidance, ADM and Risk Management, Single-Pilot Resource Management (SRM) and Crew Resource Management (CRM), Aviation Security, TFR's, and many more key points they expect students to learn. Besides the general stress, there was the added fact that this was my very first student, and my very first one who I sent to practical test, so any deficits would reflect directly on ME. But, she pulled it off in a big way, I must say. As a CFI, I was very satisfied by the comments Doug gave when they got out of the airplane, but as a father, it brought extreme pride. Suffice it to say, he was very pleased with her performance in all aspects. He was also very pleased with her ride...the RV-14, and had many good things to say about it. All in all, I can't think of a better complete package experience for all of us. This was an airplane that my family built, but Danielle had participated in a large share of the build. She helped pick the paint scheme, and helped paint the entire airplane. She was there for it's first flight, and then soon after, she started flying it herself. 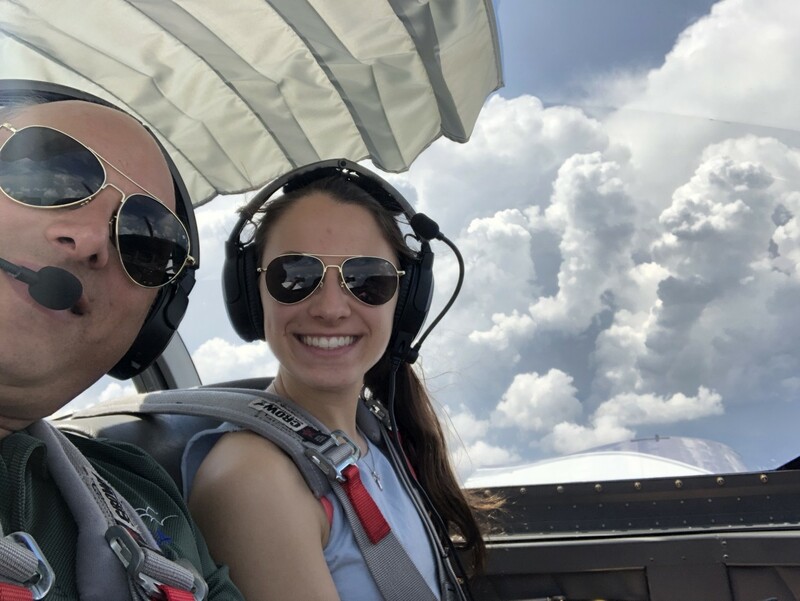 She learned to fly in the airplane that we built, and we spent our time together for over 100 hours of flying, pursuing the rating(s) that she and I both got. And then she took her practical with someone I'd consider to be about the ultimate examiner, being evaluated by someone who has very high standards. She is now also part of a larger RV community too, that has been a very supportive source of encouragement for both of us. We headed down the afternoon before, to Mason City (KMCW), to be ready to go at 9:00am the next morning. 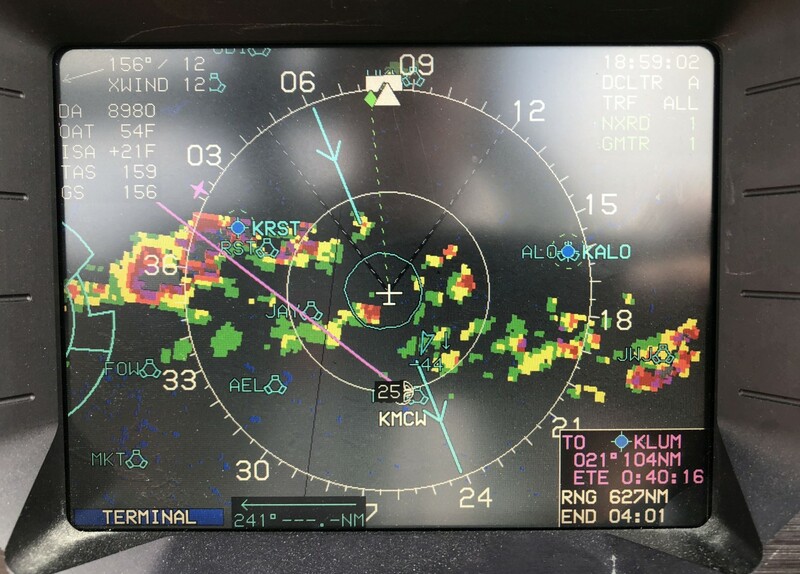 As we headed out enroute, we decided to get in-flight FSS weather via radio, just for her experience interacting with FSS for such a request. 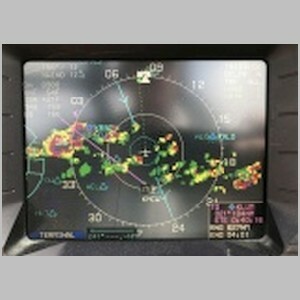 They informed us of some T-Storm cells just beyond our destination that were headed towards it at 15mph. 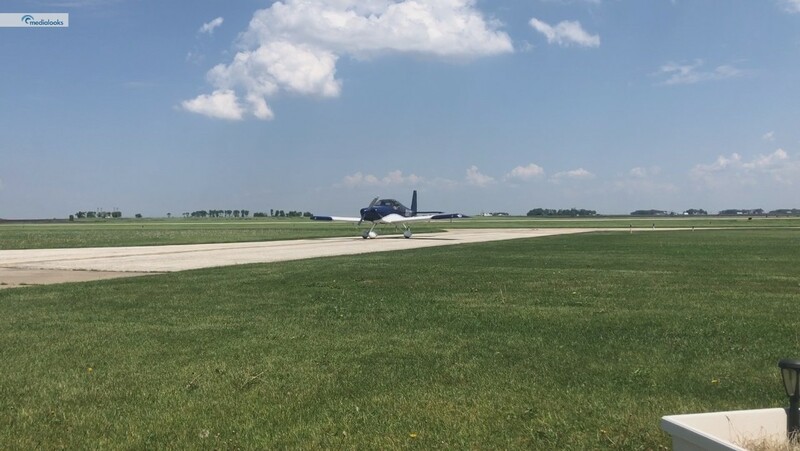 It was a very hot day, so once we got there, we actually skipped most of our practice flying, preferring to get on the ground. 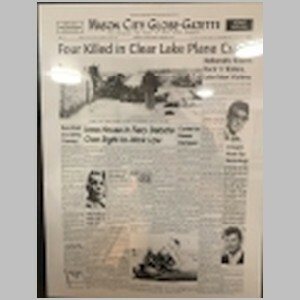 Once to our hotel, as we waited to check in, we saw a gruesom newspaper article framed on the wall about a plane crash that killed 4, in Clear Lake, IA, where we were staying. 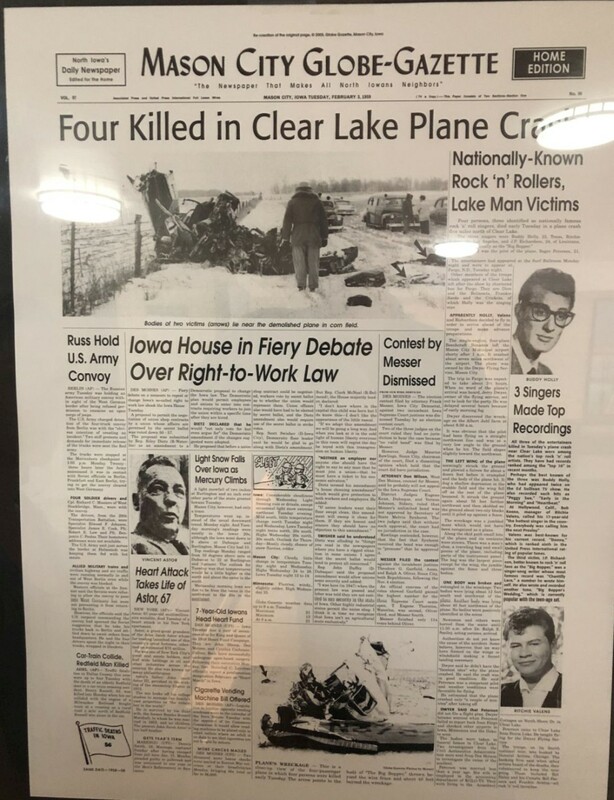 It didn't take long to put 2 and 2 together and realize that this was the famous crash that killed Buddy Holly and the Big Bopper...the day the music died. 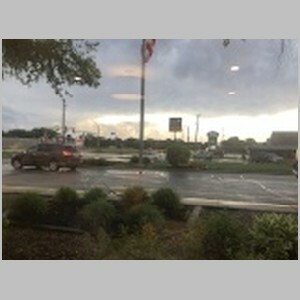 After we got checked in to the hotel, the storms finally arrived, bringing with them 75mph winds and knocking out the power to the hotel for a few hours. 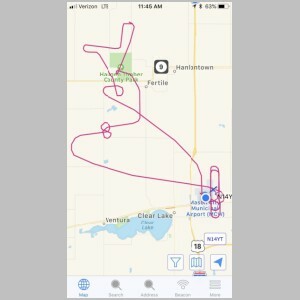 We were flight planning on paper charts via iphone flashlight, so we decided to just go into town and eat, further away where they had electricity. 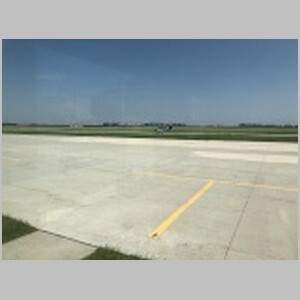 The center photo below shows the plane safely in Doug's hangar...very thankful for that! When morning came, we quickly filled in her IACRA application and headed to Doug's place. 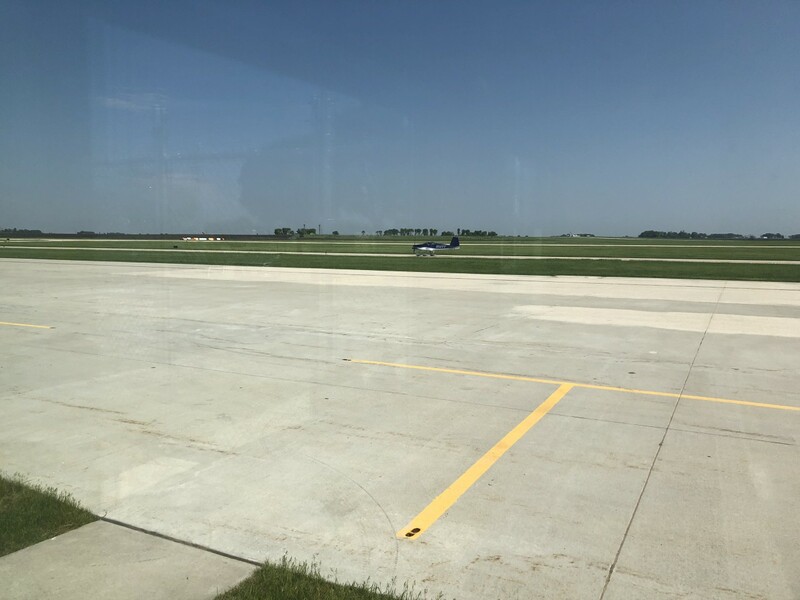 I left them alone for the Oral and hung out in the FBO...North Iowa Air. After nervously pacing for a while, I saw her taxi past, and it was then that I knew the Oral test went satisfactorily well. 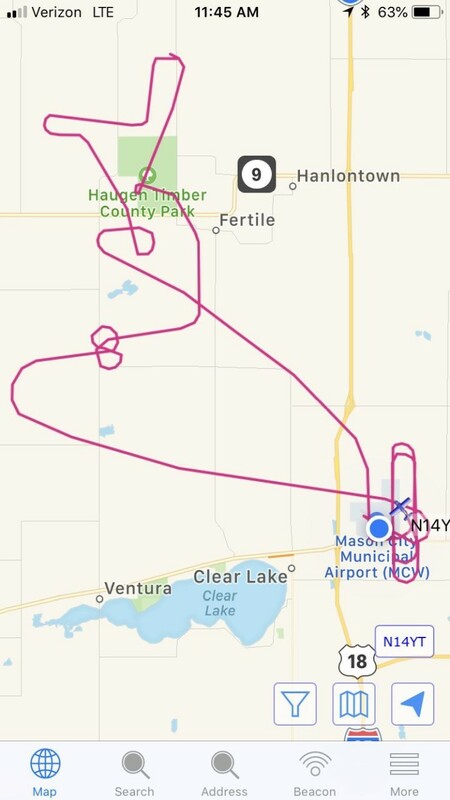 As they flew, I tracked them and watched all of the maneuvers. I could sometimes tell exactly what they were doing by the airspeed and path they were flying. Every maneuver that was passed, I smiled, knowing that it was one more that must have been completed successfully. Around an hour later after doing some additional landings, I headed back to the hangar and was there waiting when they taxi'd in off the ramp. I had heard her radio calls and heard that there was confidence in her voice, so I smiled to myself knowing that it was all going to turn out great. Sure enough, the report was a glowing report. She had done very well on the oral, and had really pleased him on the practical as well. I knew she had it in her, if she could only calm her nerves. :) We wrapped it up, and got some lunch, and then it was time to head out for home. 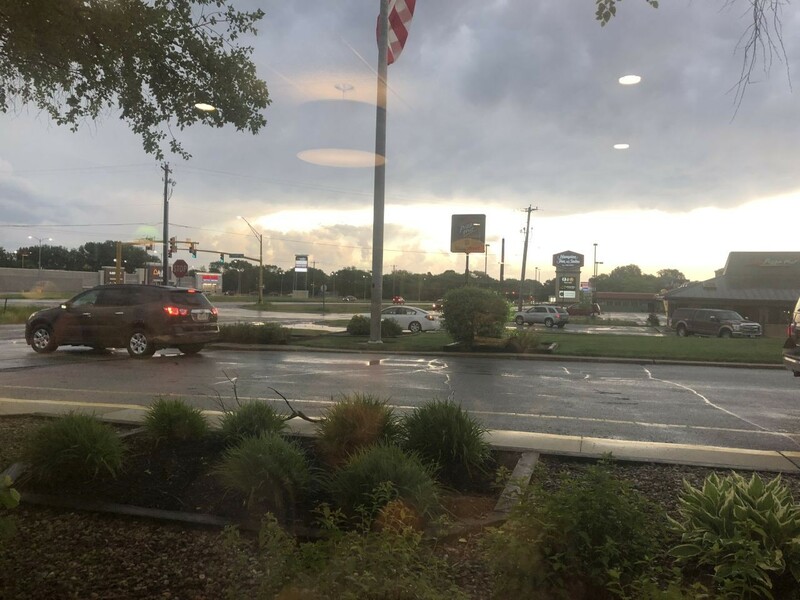 By that time there were a couple of lines of scattered storms headed towards home, so we zipped through a clear path to the front side of the storm line, where we could quickly get ahead of it for the 1 hour trip home. We cruised at 9,500' on the hot day, in cool smooth air, next to billowing clouds. As we neared home, you could see a monster of a storm cell coming from the west, making the entire area dark, but we stayed well ahead of it. On the ground, mom showed up and we grabbed a couple of photos and then all 3 pilots headed home. It was the end of a long day, and a long year. I'm very proud of my new pilot. 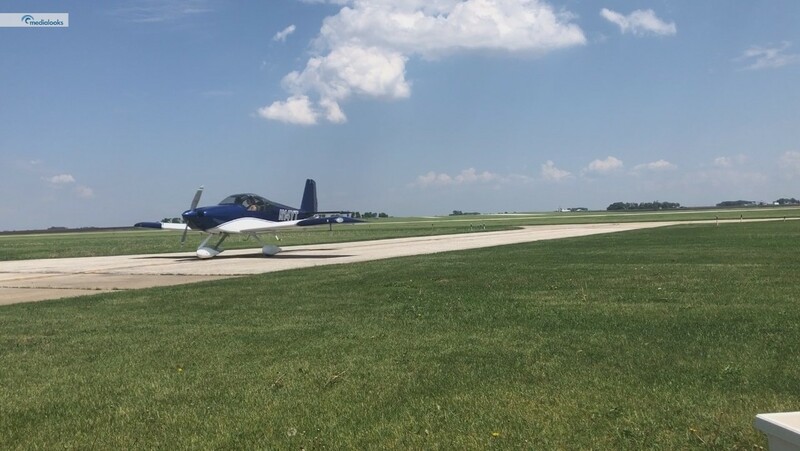 There are few things that are as fun and can be as complicated as the skills you gain when learning to fly around the country. To see that she was able to stick with it, and do so well, is a testament to her inner strength. We both thank God for the skills he has given us, and for that I am also proud of her. I know that if she can do this, she can do most anything she sets her mind to. 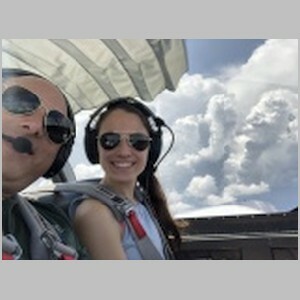 I intend to hold on to my CFI and use it to teach more students over the years, and who knows...maybe I'll even be training 3rd generation family pilots some day.